When astronaut John Glenn orbited above Perth, Australia in 1962, people in the Western Australia capital city turned on all their lights so the city would become a sparkling lightbulb to the orbital viewer; Perth is aptly known as the “City of Light” because of this magnificent communal stunt. 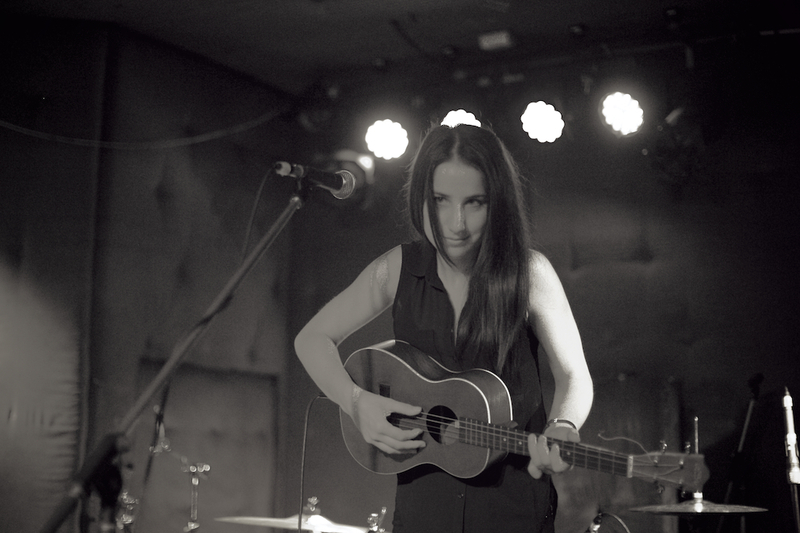 Indie/Folk musician Amanda Merdzan is also from Perth, Australia. What do these two things have in common (despite the similarity of origin)? Merdzan, similar to her hometown, is a “city of light” for Indie/Folk music. Her music dazzles with a powerful edge that shines through her savvy vocals. While a troubadour with a sincere rawness to her tunes, Merdzan juxtaposes this denuded flavor with a striking maturity in her words and musicality. Put simply, Merdzan is a fluorescent light in an often lucifugous climate. After the release of her debut album in 2010, Merdzan spent three months in the U.S. before going home in 2011 and gigging around Perth. She is now on the heels of her latest release, an EP called The Map Has Been Redrawn. “Afraid” is the title track off of the 5-song EP. The song bounces with a Mumford and Sons rhythm at its entrance, combining Merdzan’s potent vocal with an excellent instrumental of echoed strings, plucked acoustic guitar, and heavy percussion. The inception of the piece latches on to the listener like a good book to an eager reader; once it pulls you in you cannot stop exploring the created world. And it is quite a world – one full of imagery-inducing harmonies and musical precision. Seriously, the song does not have a flaw. This live acoustic version of “Each Day Like the First” (the 4th song on the EP) exposes the tenderness of Merdzan’s voice. The song flows with the subtle authority of Fleet Foxes or Tallest Man on Earth. While pastoral, the persistent rhythm maintains an urban quality – a contradiction that works well to create the wonderful aura that encompasses all of Merdzan’s songs. Follow Merdzan on her website, Facebook, and Twitter.